Here is a card I made a while ago but didn't get around to blog. 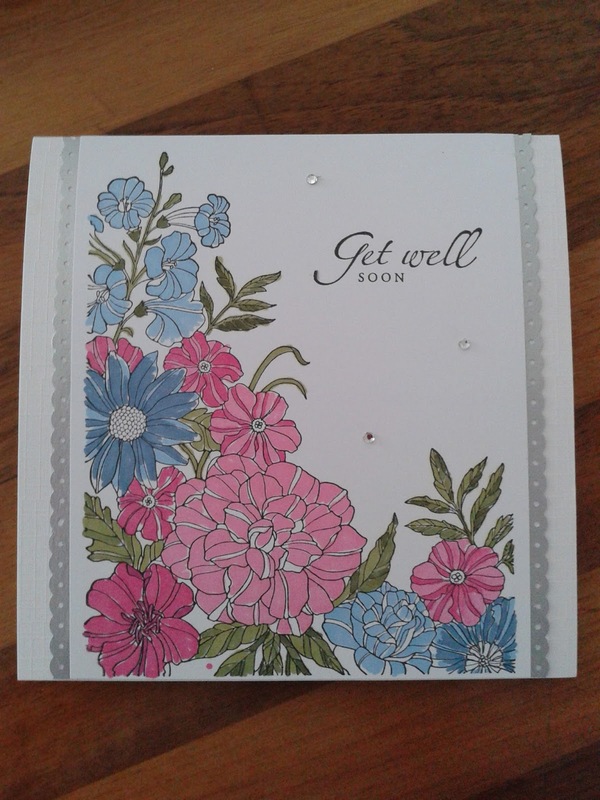 The stamped flowers have been coloured with promarkers and I have added a stamped sentiment and a couple of gems. The border has been punched from silver pearl card. 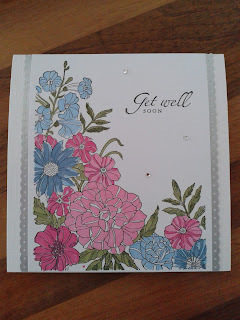 Hi Christine, this is a really pretty card - I love how you have coloured the flowers. Thank you for joining us this time at In The Pink.